I am Jeroen Bakker, born on the 30th of May 1981. Currently I run my own business as a exterminator and a (industrial) facility cleaner. My hobbies besides Tolkien are Music and Film. With a particular interest in Star Trek and its realistic side. I like poetry, I even write sometimes or at least I try to write some poetry. Concerning music one might say that I am a audiophile. I am to some extent critical about how music ‘must’ sound like and I am very critical about the music I choose to like. Collecting is a disease, for me it started seriously with CCG, Collectable Card Games, such as Magic and Star Trek. My Tolkien collection started with a set of 1981/82 Dutch Tolkien books whom my parents wanted to throw away. The Cor Blok drawings couth my attention and I ‘saved’ them from ruin. Not knowing their value I gave them away when I bough new ones in much better condition. Not that they are worth much, but the use of langue and absence of curtain front en marking pages made it at leased special because I never found the same version again. Tolkien Books, Inspired Music, Motion Pictures, Soundtracks. (In all kinds of Languages). Music being one the most important thing in my life, and I can tell you there is a lot of Tolkien music out there. I also collect books from and about Tolkien and Tolkien’s world. I do not collect statues, games or swords and what so ever. ± a 100 Tolkien Inspired CD’s / DVD’s of music. 12 or so DVD’s with documentaries and films and theatre plays. I often ask myself if it is al about the size of the collection or if it is al about collecting, to me it is the latter. I tent to acquire those items that peak my interest. Not so much the rareness of the item but it’s content is often of more value to me. That depends on what you mean, none Tolkien? A Star Trek tri-dimensional Chess Board. 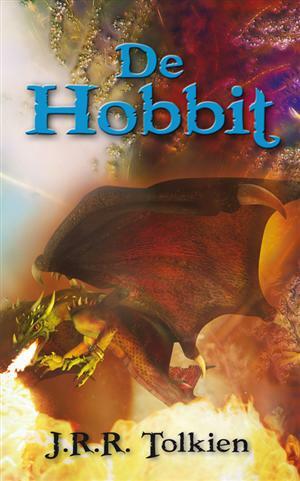 Also I am very proud to the fact that there is a Frisian translation of The Hobbit by Anne-Tjerk Popkema. In which I added a small contribution and I am honoured to note that it would not have been possible without your help. Many thank you’s to you Pieter. I would also like to mention to you here that I have had a small contribution to a memorial flower to be named after Edith Tolkien. I’m going to mention that it will be an Orchidae and that it was done in association with the Tolkien Estate. When I wrote this there was no official press release so for more details we will have to wait for the press to be informed. Not a website, but a Hyves site. To support the creation of Frisian translations of the works of Tolkien. It means to me that I’m a very sick person. Well not sick, everybody has something strange he or she does. For me it is collecting, not only Tolkien but other things as well. I have the urge to try to get everything as complete as possible, with Tolkien I found that was not quite possible. There for I’m a little reluctant to start reading other authors who have written extensively. If I start reading them I want to have all their books and this way I wouldn’t have enough space to put them all, nor do I have the money, only if that was not an issue. Collecting is a constant conflict with myself, what do I buy, how much am I willing to pay, do I have it already. What’s the use? Don’t I already have this? I have to admit it is a lot deeper than I describe it here, but I couldn’t find the right words. To me it is not just collecting, I want to be a part of my collection or the collection to be a part of me. That why I wanted a Frisian translation, part my family comes from Fryslân (the Dutch province) so it makes sense, the culture runs in my veins. There also is the issue of the Orchid, first off all I felt that Edith Tolkien was underappreciated by the Tolkien fans, but what was a fitting honour? Then I got a job at a Orchid farm and found that Lúthien fitted the description of a Orchid, so I started to think more and more about Edith and Lúthien and one day I decided to write to the owner of the Orchid farm and guess what he was a Tolkien reader as well. The end result is history now. I hope you liked the answers.